How do you deal with acne? How can you keep the pimples at bay? How do you stop new pimples from appearing? It all starts with a clogged pore. When a pore in your skin gets clogged up with oil, dirt and skin debris. Bacteria happily breeds in that concoction, infecting that pore, leading to acne. To treat acne, attack the root of problem. The bacteria and the clogged pores. That brings us to these 8 tips. Throughout the day, your hands come in contact with the world around you. Your hands touch surfaces like the phone, the computer keyboards, your bag, the table and basically everything around you. Picking up germs as you go along. Touching your face with your hands before washing them is a big No No. The last thing you want is to introduce more bacteria to your skin, leading to more pimples. 2. Keep your hair off your face. 3. Wash your face 3 times everyday with a cleanser that is meant for skin with acne. That's what a doctor told me. Another doctor told me that the problem with many people that have pimples is that they use cleansers that are too rich for the face. That doctor recommended a soap and water regime. Another recommended an http://www.everythingbeauty.info/anti-bacterial.htm cleanser that was meant for acne. Stress tends to trigger acne outbreaks. Does your skin act up more before an exam or a stressful event? Learn to relax. Take a long bath with a few drops of http://www.everythingbeauty.info/aroma%20vera%20lavender.htm in the bath water. Watch a funny movie. Read a favourite magazine. Talk it out with a best pal. Do whatever works for you to ease the stress. 6. Get a good night's sleep every night. Your body needs sleep. Without enough sleep, even your skin acts up. Try to stop all work a few hours before bed time. When I had insomnia, I resorted to http://www.everythingbeauty.info/sleep.htm to help me sleep. That is actually the last resort. Better ways would be to exercise in the day so you can sleep better at night. My friend's friend used a pressed powder compact to hide her acne. Instead, the more she used it the worse it got. Just think. By mid day, your skin gets oily. You take out the powder compact, and use that powder puff to apply pressed powder on your face. Now, your face would already have dirt, bacteria and oil on it. Pat your face with that powder puff and now that puff picks up the dirt, bacteria and oil. You put it back into the compact. The bacteria happily breeds in there. Then you take out the compact again and pat more powder, mixed with oil, dirt and bacteria onto your face, picking up more gunk, putting in more gunk into your compact. The cycle goes on. 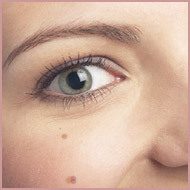 A better bet would be to use http://www.everythingbeauty.info/blotting%20paper.htm to blot off the excess oil instead. Then you can throw the paper away after use. 8. Do not let bacteria breed happily in your make up tools. Wash all your make up brushes regularly, with soap and water. Then dry them completely before you keep them. 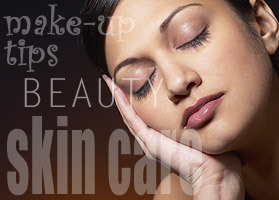 Here are more beauty tips at http://www.sisadvice.com/teenskinwoes.html . Janice Wee is the webmaster of www.sisadvice.com which brings you advice on clothes, study tips, skin care and other concerns of teenagers.